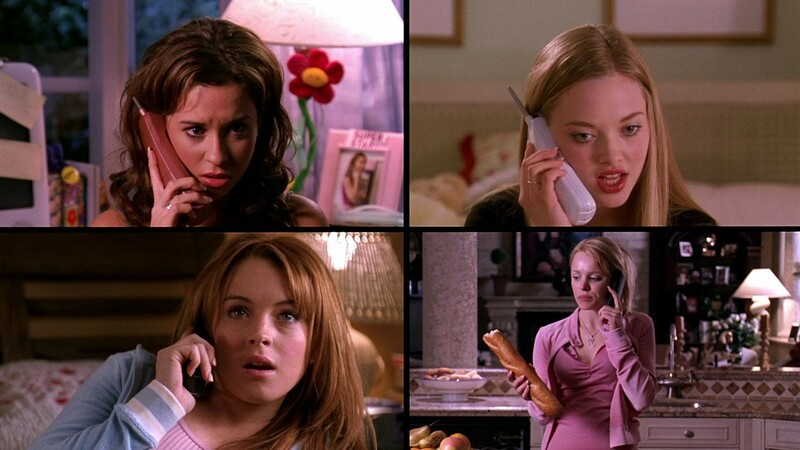 Recently, I unwittingly observed a cinematic milestone by unintentionally watching Mean Girls on the occasion of its 10th anniversary. It was the first time I’d seen it since visiting, expressly for that purpose, a theater in Madison, Wisc., in 2004. I am pretty fond of this film, but nevertheless will try to make it a point not to watch it again until 2024, by which time I’ll surely be able to download it directly to my neural cortex. Not long after I watched Mean Girls, I watched a short, thought-provoking video online about the state of visual sophistication of current film comedy. That video, created by a fellow named Tony Zhou, falls somewhere between scholarly and fanboyish, and I found it pretty astute. It’s worth your seven minutes. Zhou has a few central points. The first is that mainstream comedy is visually noncreative — an argument that is, regrettably, borne out by far too many films. The 2014 film Neighbors, which I saw a few days ago, is a perfect example. It might have a (precious) few funny scenes, but none of its scenes evince any sort of visual creativity. It’s mostly just medium shots of people talking. Not much to look at. Lurking behind Zhou’s argument about the visual dullness of most mainstream comedies is another, deeper argument: That film is a visual art form, and that those films that do not make sufficient use of cinematic devices are, on some level, failures. To this I say, HALLELUJAH, my brother in formalism! Call me an essentialist, but, dammit, if a film would lose nothing by being remade as a radio play (I’m looking at you, This Is 40), then why are you making it as a film? Have at least a little respect for your chosen medium. Finally, Zhou makes the point that, if you like comedy and care about visual style in film, you really oughta take a look at the films of Edgar Wright. And here, again, I cannot argue; Wright is, to me, one of the finest of all modern filmmakers, in part for his deep understanding of generic structure, and in part for his wildly inventive visual sensibilities. Wright has been in the news lately for having been removed from the helm of the upcoming Ant-Man. I was dismayed about this not because of any sort of fealty to the source comic book, which I’d never even heard of, but because I desperately want Wright to make more movies. He could make a film of the classified section and I’d be first in line. I’ve been thinking a lot about Zhou’s video essay lately. I don’t agree with all of his points, or with all of the examples he uses to illustrate humorous camera movements (for example: the humor from the example from “Louie” doesn’t seem to have anything to do with the camera panning, but merely with the suddenness of the woman’s departure and her unexpected preparedness for same). Still, though, I think he’s generally on the money. Most modern comedies ARE visually stultifying. Then again, they always have been. I wrote a book about the films of Frank Tashlin (warning: shamelessly self-promotional link), one of the most visually inventive directors of 1950s Hollywood comedies. Tashlin was great, but he was the exception. In that book, I compared him favorably to a group of journeyman directors like Norman Taurog, Norman Z. McLeod and Hal Walker, none of whom ever directed a visually inventive scene in their long careers. Such directors as these, who were competent without being clever, relied not on visual gags but on the talents of their actors. Jerry Lewis (who was directed by all of the above directors) was damn funny on his own; even Tashlin felt it best, at times, to just let Jerry be Jerry. Such “baseline directors” have their modern equivalents in such directors as Stoller, Shawn Levy, Tim Story, Todd Phillips or, heaven help us, the Farrelly Brothers and Seth MacGoddamnFarlane. All of these filmmakers eschew visual inventiveness in favor of the talents of charismatic actors, and/or of vulgarity. (And, hey, I promise you that I like a good fart joke way more than you do, but if “offensiveness” and bodily-function humor are all you got, well, then, I’d argue you don’t got much.) Even just the smallest amount of cleverness is never unwelcome. 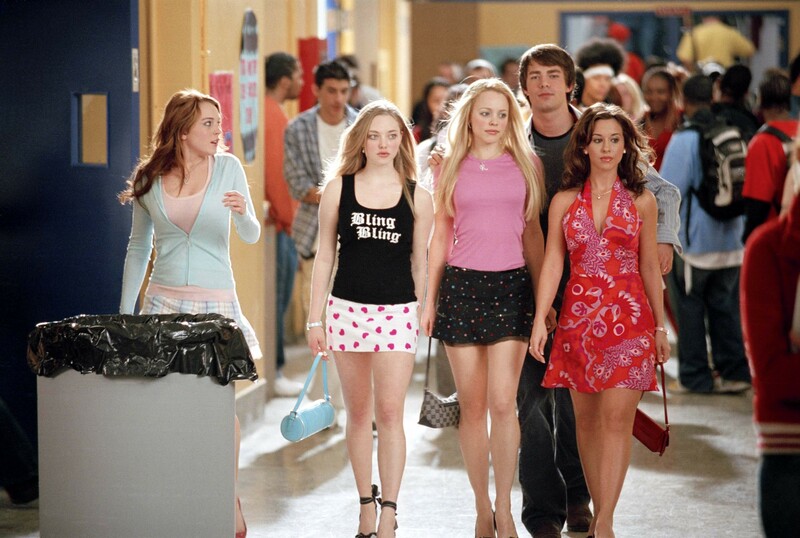 Which brings us back to Mean Girls, a film that doesn’t have a strong visual style of any kind. Like Neighbors and various of Zhou's targets, it’s mostly medium shots of people talking. Moreover, its relentlessly even lighting makes it look like an episode of “Everybody Loves Raymond,” and it contains not a single edit that is anything other than functional — that is, none of the cuts (or the lighting, or the shot compositions) contributes in any way to anything other than the advancement of the story. And, again, if you’re going to tell a story visually, then shouldn’t you use visual devices to do it? OK, so why, then, do I proclaim, in the first paragraph above, that I’m “pretty fond” of Mean Girls? Well, the film does have some excellent performances, notably those of Tina Fey and Lindsay Lohan. (It’s too bad that the Critical Establishment, in its preoccupation with La Lohan’s diva-like off-set behavior, has forgotten that she’s a very talented actor.) It also has something else, and it’s the same thing that, dare I say it, Frank Tashlin’s films had: a satirical edge. Neighbors, to take one example, hasn’t a single challenging joke — unless you count the very existence of really long dildos. (I don’t.) Same for such barely-comic comedies as The Hangover or the remake of The Pink Panther. But Mean Girls is a fangèd satire about Americans’ obsession with social status, as reflected through the humorously nasty actions of a bunch of vicious high school girls. The film may not be visually clever, but at least it possesses cleverness of another kind, in sufficiently high quantities to satisfy even a visual-essentialist like me. I hope I feel as favorably toward the film when I see it again in a decade.